It is that time of year again. Although I had to delay this article due to the excruciatingly quiet start to the off-season, my MLB Predictions are here. Read below to find out my thoughts on who will win the World Series and how they’ll get there. I will also be predicting who wins the major MLB awards. Let’s get started with my projected regular season standings. The Bronx Bombers are back. With Giancarlo Stanton on board, the Yankees have last year’s top two home run hitters in their lineup. They could have a historic home run duo going. 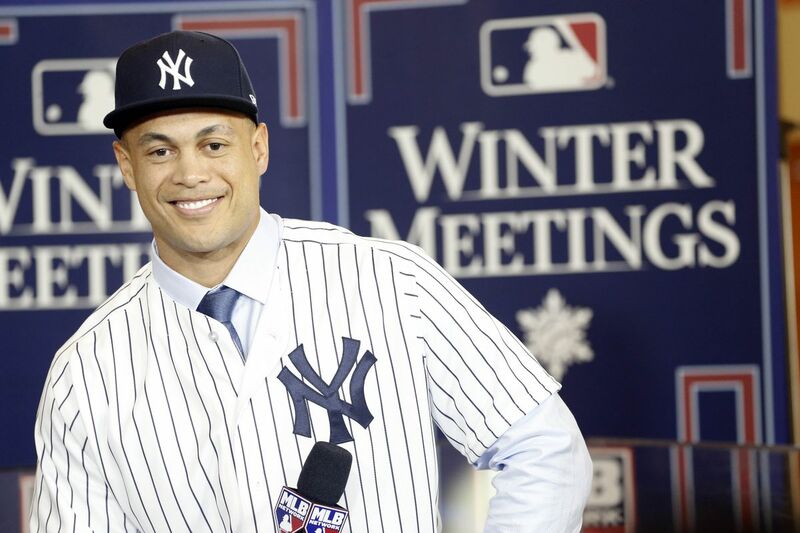 Stanton and Judge will be surrounded by other big hitters, young players full of potential, and a respectable rotation. But the Red Sox will challenge them after signing the #3 HR hitter of 2017 in J.D. Martinez. After a long game of chicken, they finally agreed to terms on a deal on February 19th. The Sox also brought back super utility Eduardo Nunez, who will start at second until Dustin Pedroia returns in mid-April. Martinez, Nunez and the Killer B’s will lead the Sox to be elite contenders and compete with the Yankees. In addition, ace Chris Sale leads a strong Red Sox rotation, one thing Boston has on the Yankees. Sale, Pomeranz, and Porcello have led Boston’s rotation to outpitch the Yanks. I will have an extended spring preview for the Sox coming soon, where I will try and answer some of the team’s biggest questions headed into 2018. The rest of the division is in rebuild mode, and the Red Sox and Yankees will feed on them, while the two of them compete against each other. The Blue Jays have revamped their roster with lower tier free agents and younger players who will lead the new era of the team. Meanwhile, the Orioles have rotation turnover issues after they lost multiple starters to free agency. They signed two starters, but they still have rotation problems, and their lineup is still good, but it’s no longer All-Star material. Meanwhile, the Rays have completely remodeled their roster after trading away Evan Longoria, Jake Odorizzi, and Corey Dickerson. They will be led by young talent on their new look roster. Although the other teams in this division look intriguing, Red Sox and Yankees are the only teams that I would consider playoff contenders in the AL East. The Indians are still the clear favorite. They may have lost key pieces in Carlos Santana and Jay Bruce, but they made up for it by signing 1B Yonder Alonso, 1B/DH Mike Napoli, OF Melvin Upton Jr. and OF Rajai Davis. Young outfielder Bradley Zimmer is also in the running for a starting outfield job. That doesn’t mean the Twins won’t contend though. They upgraded a roster that was already strong this off-season, by signing Logan Morrison and relievers Fernando Rodney and Addison Reed as well as acquiring Jake Odorizzi from Tampa Bay. They also signed Michael Pineda, who may return from Tommy John surgery later this year. The Twins are setting themselves up to return to the playoffs, but they’ll have competition in the wild card race, with the Red Sox and Angels also contending. The rest of this division will fail to contend. The Royals lost their core players in Mike Moustakas, Eric Hosmer, and Lorenzo Cain and that has led them to rebuild. The Tigers are heading into a rebuild of their own after their older team struggled in early 2017. However, their roster appears to be falling into place, for the most part. They could use another infielder in the mix. After trading away J.D. Martinez last year and trading Ian Kinsler in the off-season, the Tigers are headed in the right direction, focusing on their future. The White Sox will rely on their young talent after rebuilding in 2017. They are hoping that their top prospects, Michael Kopech and Eloy Jimenez, can make an impact at the major league level as well as prospects that cracked the majors last year. The Indians are the clear favorites here, but the Twins could also contend, and do not be surprised if one of the three rebuilding squads in the division begins contending quicker than expected. The Astros are still the clear favorites here. They’ve only gotten better since last year’s World Series win, so if they have any hangover, it will only affect them early on, and won’t hit them that hard, similar to what happened to the Cubs last season. A full season of Justin Verlander and the acquisition of Gerrit Cole will make their rotation unstoppable, and their lineup is still just as good, as prospects will fill in for what they lost in Carlos Beltran, who retired. The Angels will also compete though. They arguably have one of the best lineups in the league after adding Ian Kinsler and Zack Cozart as well as resigning Justin Upton. Although the rotation is not dominant, the new two-way Japanese star in Shohei Ohtani will help them improve, and hopefully, the injury bug will not hit them as hard this year. The Mariners will also have a decent year, but they are relying on Dee Gordon to make a smooth transition to the outfield, and the rest of their outfield doesn’t look great. In addition, it will be hard to contend with inexperienced players occupying several starting jobs. The Rangers aren’t going to be terrible either, but some of their best players like Adrian Beltre are getting old, and not all of their younger players will be able to succeed at the major league level this year. I like their intriguing off-season, but unless they break out with what they have, it might be time for the Rangers to consider a rebuild. The Athletics are hoping that they can start moving in an upward direction after their own rebuild, but I think their young players need another season or two to develop before the A’s get ready for contention again. This year will focus on the development of their young guns like Matt Olson, Matt Chapman, Sean Manaea, Jharel Cotton, and Andrew Triggs among others. In the end, look for the Astros to repeat here and the Angels to make a run at a wild-card spot. 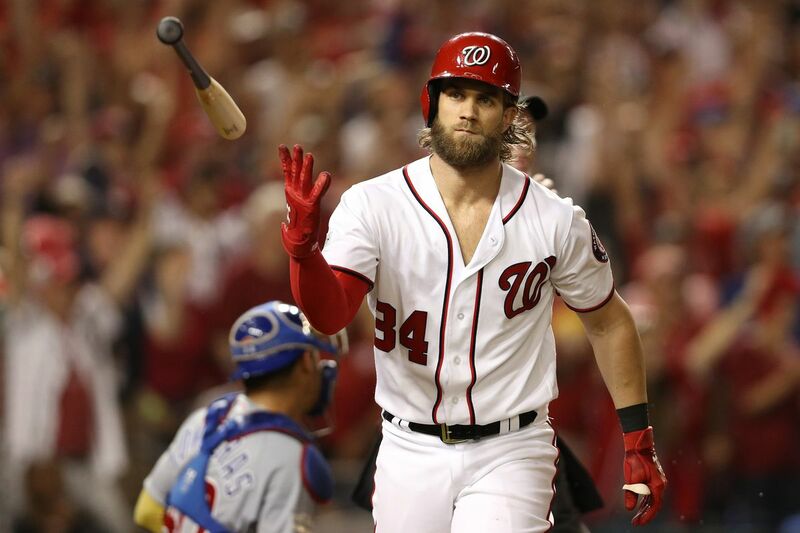 After the Nationals cruised into the NLDS in a weak NL East in 2017, I do expect Washington to repeat. But other teams in the division will start to make strides toward contention. At one point, I thought this might be the year that the Marlins pounce to the top of the division, but instead, they decided to rebuild early, dealing away all three of their starting outfielders (Giancarlo Stanton, Christian Yelich, and Marcell Ozuna) plus 2B Dee Gordon. Now they might very well be the MLB’s worst team on paper. But the Mets, Braves, and Phillies are moving in an upward direction. If they can stay healthy, the Mets added several key pieces that could lead them back to contention. I think they are close to playoff material, but not quite there yet. The Braves look ready to break out at any moment, but I don’t know if their breakthrough will come in 2018. But I definitely think they will improve this season. The Phillies may not be ready for contention yet, but this young team is setting themselves up for success. If they continue to boost their young roster with veterans over the next couple years, we may see them return to the playoffs. Despite the rest of the division’s effort to contend, the Nats are still the #1 team here, and they are a World Series contender. In his contract year, Bryce Harper will lead a powerful Nationals lineup, and their rotation might just need one more strong starter such as Jake Arrieta to lead the Nats deeper into the playoffs. With many of their stars hitting the open market soon, it will be World Series or bust in 2018 for Washington. If I had to name one division that improved the most this off-season, I would say the NL Central without hesitation. Despite losing SP John Lackey to free agency, the Cubs continued to improve this off-season with the signing of pitchers Yu Darvish, Tyler Chatwood, and Drew Smyly (may return late in 2018). They are a significant World Series contender. But the division will not be easy to win as the Cardinals and Brewers have also improved. St. Louis signed Miles Mikolas in his return to the MLB but may need to add another starter for rotational depth. They may even try and snag closer Greg Holland or 3B Mike Moustakas before Opening Day. They also acquired OF Marcell Ozuna from Miami. 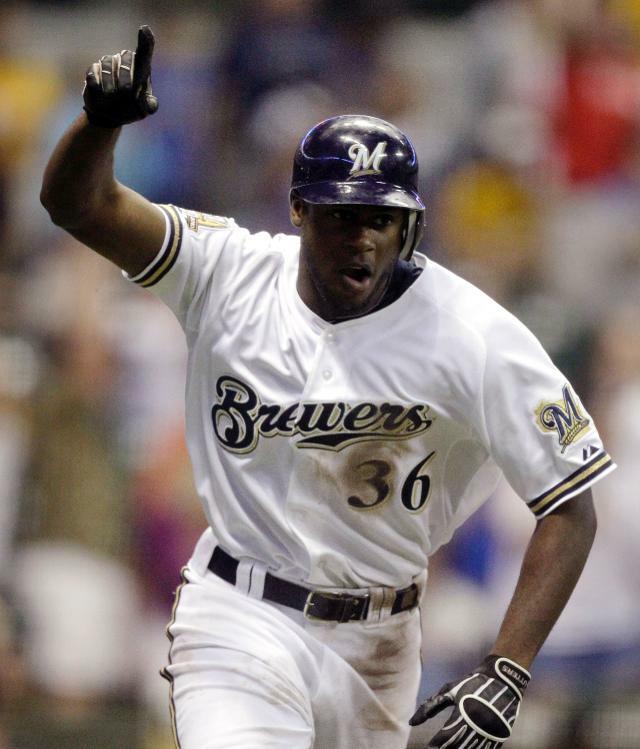 They will contend this year, and so will the Brewers, who despite the desperate need for a #1 starter, will be significantly better in 2018 after signing Lorenzo Cain and acquiring Christian Yelich to improve their outfield and make it dominant. They may want to resign Neil Walker before Opening Day if they really care about winning now. Unless they sign a pitcher or a middle infielder, I don’t see them as a lock for the playoffs, but they will contend. The Reds could also contend soon, but it will take another year or so for the lineup to become playoff material and the young rotation to improve. Meanwhile, the Pirates have begun rebuilding after trading away OF Andrew McCutchen and SP Gerrit Cole. They will not contend this year due to their rebuilding intentions as well as a serious depth problem and lack of a leader in their starting rotation. Although Cincy and Pittsburgh won’t be in the playoff race, this strong division will be competitive as its top three teams battle for playoff berths. Although the NL Central improved the most this off-season, the NL West is still the MLB’s strongest division. This year, I think that four teams in this division will finish with a winning record, and two will make the playoffs. The Dodgers will stay on top here. They have managed to keep most of the players that helped them succeed in 2017, although their rotation doesn’t have the same kind of depth that it used to. They didn’t need 7-8 viable starters on the roster though. No team in this division has gained significantly on the Dodgers, but other teams in the division have improved. This could be the year for the Rockies. Their lineup will dominate, and their young rotation should continue to improve. The rotation is also aided by a strong bullpen that will be led by new closer Wade Davis. The D-Backs have added outfield depth after J.D. Martinez’s departure for Boston, and they will continue to contend in 2018, although I don’t think they will quite make it this time around, as the Cardinals and Brewers have gotten better and could grab a wild card. 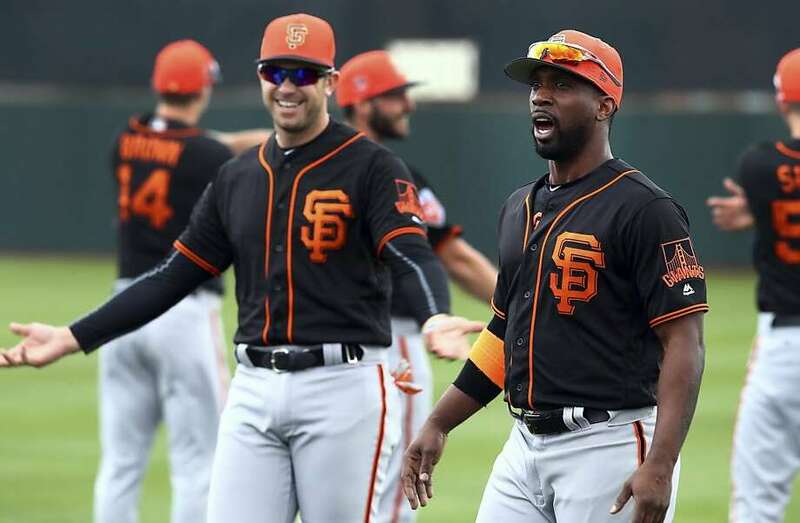 The Giants have also improved after acquiring Evan Longoria and Andrew McCutchen, but after a 64-98 season, I find it hard to believe that even year luck alone will lead them back to the playoffs. They still have rotation depth problems behind their top three starters and aside from Cutch, Longo, Buster Posey, and Hunter Pence, this lineup isn’t overly intriguing. Even the Padres will improve. Some of their top prospects have cracked the majors, and they have brought back Chase Headley and Tyson Ross in addition to acquiring Freddy Galvis. Their biggest move of the off-season was signing 1B Eric Hosmer. He will be a veteran mentor for this young team and allows Wil Myers to assist the young outfield. The Dodgers are the clear favorites here, but this division is hard to predict beyond that. Now for my playoff predictions. As you all know, I am an avid Boston sports fan. But as an unbiased reporter, I don’t think the Red Sox have the edge on the Yankees this year. The Bronx Bombers just have too powerful of a lineup, and despite the fact that Boston has one of the best rotations in the MLB and signed a home run hitter of their own in J.D. Martinez, it’s just not enough to compete with the “Evil Empire” in New York. The Sox will win over the Angels in the Wild Card round though. The Angels may have a powerful lineup, but they are nothing like the Yankees, and rotation problems will hold them back. I have the Yankees advancing to the World Series, but only to be defeated by the motivated Washington Nationals. Like I said, it’s World Series or bust in Washington, and I think this year’s Nats are legitimate contenders. In the AL, the Astros will come close to a World Series return, but even their dominant rotation will struggle against the Yankees lineup. The Astros will top a well rounded Indians team. The Indians look good this year but will have a hard time competing with this strong Astros team. Jose Altuve (who I could see having another MVP caliber year), George Springer, and Justin Verlander among others will lead Houston to the ALCS. In the NL, the Dodgers will also come close to a World Series return after beating the Cubs somewhat easily in the NLDS. But they will struggle against a strong Nats rotation, and even Dodgers ace Clayton Kershaw could have a hard time against Bryce Harper, Daniel Murphy, and the improved Nats lineup. The Cardinals will also fall to the Nats. Their younger rotation will struggle on the big stage, and their lineup isn’t fierce enough this year to stop the strong Nats rotation, despite the powerful pieces they have in Dexter Fowler, Marcell Ozuna, and Matt Carpenter among others. The Cards do have the edge in the Wild Card round though, as their lineup will overwhelm young Rockies ace Jon Gray. In the end, the Nats will dominate this side of the bracket and go on to win the World Series. The window is closing for the Nats to win a title with Bryce Harper, Stephen Strasburg, and company. But 2018 is their final shot at a World Series win in this era, and they will be driven by this fact. To much to take in? My video summary of this post will be on YouTube soon. I will post the link on my blog when it is up. Below I have listed my Top 3 picks for each major MLB award. Jose Altuve, 2B, HOU – After winning this award last year, I could see Altuve repeating his 2017 dominance. He is one of my favorite non-Red Sox players and he has emerged as a star and leader on the Astros. Joey Votto, 1B, CIN – I think Votto will also emerge as an MVP caliber player this year as he continues to put up great numbers despite the fact that he is older than many other all-star level players. Chris Sale, BOS – I think Sale will repeat the success he had early in 2017 with the Red Sox, and he is my pick to win the Cy Young. Justin Verlander, HOU – Verlander will emerge as a leader in the strong Astros rotation in another deep playoff run for the Astros. He will be Sale’s #1 competitor for the Cy Young in 2018. Carlos Carrasco, CLE – I could see Carrasco returning to his dominant 2015 form this year and creating a dynamic duo in the rotation alongside Corey Kluber. Stephen Strasburg, WSH – Strasburg already returned to the ace level last year with an ERA around 2.50, and I think he could keep it up in 2018 and make a significant run at a Cy Young award. Yu Darvish, CHC – Chicago is a great fit for Darvish, and I could see him thriving in Chicago and running at a Cy Young. Clayton Kershaw, LAD – Kershaw is always a candidate for this award much like Trout is for the MVP. He will continue to succeed in 2018. * For those of you who read my latest free agency article, you would know I think Alex Cobb is going to the Brewers. If he signs in Milwaukee, he could be a significant candidate to battle for a Cy Young award. Shohei Ohtani, SP/DH, LAA – Who else would I put at the top of this list? This two-way phenom is practically a lock to make the Angels roster despite the fact that he is a rookie non-roster invitee. Kyle Tucker, OF, HOU – I think Tucker could have a significant role at the major league level in 2018. He will compete for a starting outfield job when he comes up. He is the brother of former Astros outfielder Preston Tucker. Hunter Dozier, 3B, KC – I think Dozier can make an impact at the major league level, even with Lucas Duda in line to start at first. I see Dozier as Kansas City’s starting third baseman as long as he is successful early in the season, and I see potential in him. Jesse Winker, OF, CIN – I think Winker will breakout this year as he establishes himself as a starter at the major league level. He will compete for the Rookie of the Year award. Ronald Acuna, OF, ATL – Once Acuna cracks the majors, he has the chance to become a starter in left field, and once that happens, I see the potential for him to be great. Ryan McMahon, 1B, COL – With Ian Desmond headed back to the outfield and Mark Reynolds in the open market, there’s an open spot for McMahon at first base. If they resign Reynolds, they could work out some sort of platoon, but either way, I think McMahon has the potential for success in the majors this year. That’s all for my MLB 2018 Predictions. Stay tuned for more baseball articles including my spring power rankings, my Red Sox 2018 season preview, and my 2nd annual preseason Baseball Bits article. Each year since 2014, David Schoenfield has ranked all 30 teams in tiers during the preseason. For the third year straight, I am creating my own version. I am out of school this week, so throughout the week, I will be posting my rankings. Today they start with the bottom 6. In the process of a rebuild, the Twins let older players Kurt Suzuki and Trevor Plouffe sign elsewhere in free agency. However, they also lost young pitcher Tommy Milone. They signed veterans Jason Castro, J.B. Shuck and Ryan Vogelsong. These guys are nice veteran boosters and mentors, but are unnecessary signings. The young Minnesota Twins just need a little time to develop before coming back to contention. The Twins will not contend in any way this year. They are in the midst of a rebuild, and actually have a bright future ahead. The Tigers and Royals will get old and decline which will leave room open for the Twins in coming years. For now, they need to focus on establishing their young players, and wins and losses will not matter for them this year. But in coming years, look for the Twins to finally get better. Joe Mauer and Brian Dozier are getting older, and I’m liking the young talent on the Twins. The younger players they have will do well this year, and eventually bring the team up with them. Third year player Miguel Sano is one guy who could make an impact. He will take a full time job at third base in 2017, and will be a bigger contributor to the lineup. He could be a team leader in the future. Byron Buxton is another player to keep an eye on. Despite a disappointing 2016 for both of them, 2017 should be a good year for Buxton and Sano. Best Case Scenario: The Twins surprise many, as their young guns bounce back and lead the Twins to a second place finish in the AL Central. Worst Case Scenario: Byron Buxton and Miguel Sano continue to regress and the Twins finish with the worst record in baseball. The Padres didn’t do much in the off-season. After losing veterans they shouldn’t have spent their money on, the Padres are at a desperate state. They will not compete this season, so it’s time for a rebuild. They did sign veteran Erick Aybar to a minor league deal, but he’s no more than a veteran mentor, and will not lead the Padres to contend. The Padres will focus on building upon their young roster, and if they did that a couple of years back, they might of had a legitimate chance this year. The Padres may be at their worst ever. While building a young roster, they will not compete this season. None of their starting pitchers are very established yet, and the lineup has some bright spots, but needs work. This rebuild could take a long time, but it’s worth it. If the Padres tried to go for it this season, the end result would be the biggest MLB failure in a long time. 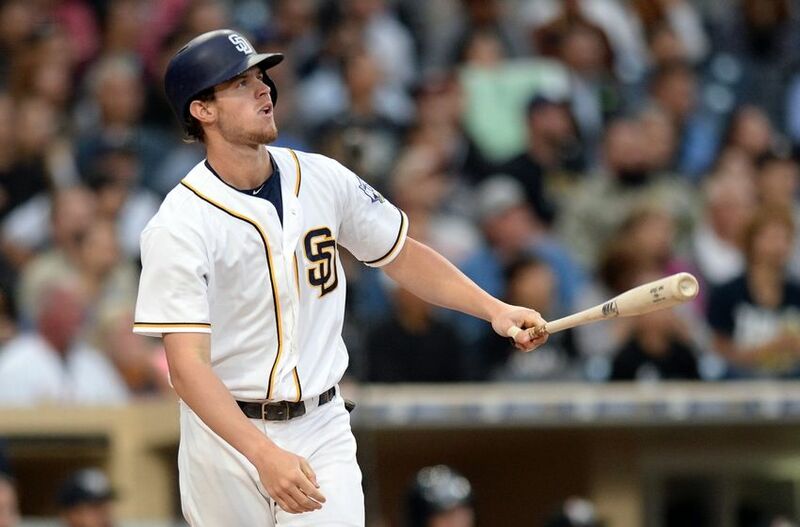 One investment from a couple of years ago that was worth it was the signing of Wil Myers. Myers has done well for the Padres, and him, Yangervis Solarte and Erick Aybar make up a nice infield of veterans to teach the younger players. Myers will actually put up some impressive stats in 2017. In 2016, he was a Home Run Derby participant and All Star. Myers will continue to put up good numbers in 2017, and he will make the Padres look just a tiny bit better. Best Case Scenario: Wil Myers boosts the lineup, and the young rotation breaks through as the Padres finish just under .500. Worst Case Scenario: The Padres have their worst season in history, the young players struggle at the major league level, and the Padres barely endure a dismal season. The Athletics weren’t quite as active as they usually are this off-season, but they did fine-tune their team. They aren’t anywhere near contending, but adding some depth with experienced players will at least prevent disaster in 2017. 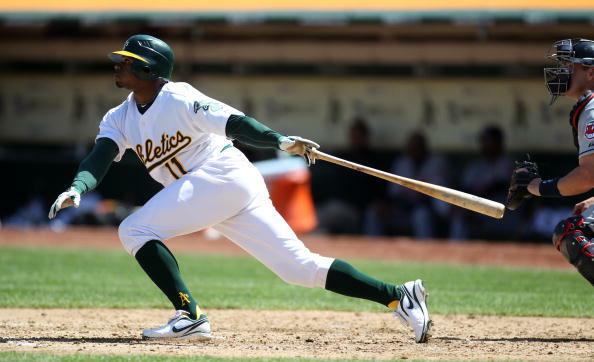 Rajai Davis recently came back to Oakland. Alejandro De Aza, Ross Detwiler and Jaff Decker were invited to spring training among other veterans. They also signed young third baseman Trevor Plouffe. They filled most of their major off-season needs, and that will help them despite other problems. The A’s have a nice mix of veterans and younger players. Once their prospects develop, this will benefit them and they will thrive. But that might not happen for a while, and right now, they’re just going to be considered an old team that won’t contend. If they rebuild a little, maybe they’ll season their young players more and see more success soon. But whether they rebuild or stay put, the Athletics aren’t going to have a winning season. 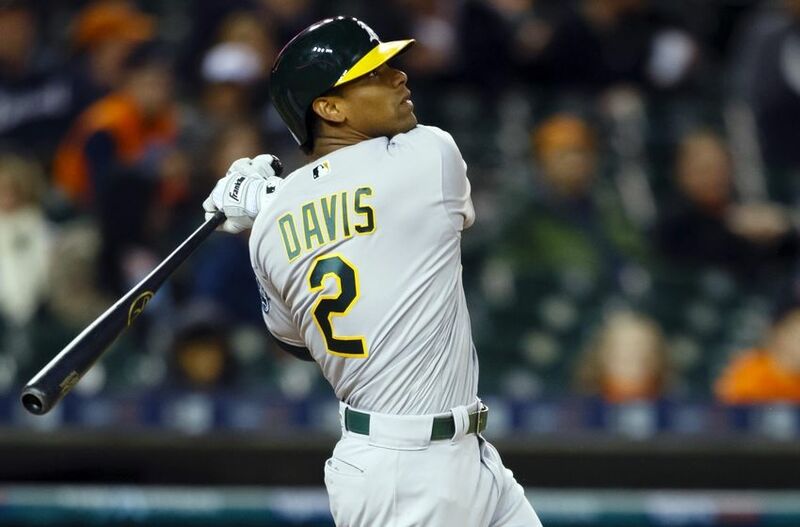 Khris Davis was acquired from Milwaukee in the 2015-16 off-season, and since joining the Athletics, he has been their best hitter, and has been a bright spot on the Athletics by putting up impressive stats. Davis was a home run hitter in 2016, with 42 dingers. He drove in 102 runs and got a career best 137 hits. The 42 dingers, also his career best, were enough to tie Edwin Encarnacion and Brian Dozier for 3rd in the MLB. Encarnacion and Dozier are team leading stars, and Davis may be developing to be just that. Davis had more home runs than the Rockies’ star third baseman Nolan Arenado! I also think starting pitcher Sonny Gray could look good in a bounce back year, but Davis is the safest bet. Best Case Scenario: The rotation bounces back, the lineup finally finds a way to do strongly and the A’s attempt to return to the playoffs. Worst Case Scenario: The injury bug hits Oakland at its hardest, and the Athletics finish terribly, with one of the worst records. The Phillies have finally established a young roster, but it will take a couple years to return to stardom. The rotation still needs work but they added some veteran mentors/big hitters to help their case. They acquired starting pitcher Clay Buchholz, and added Howie Kendrick and Michael Saunders to the lineup. Now, with veteran mentors to help a young, talented roster, the Phillies could be back to contention a couple of years from now. The era of washed up, old Phillies is over. 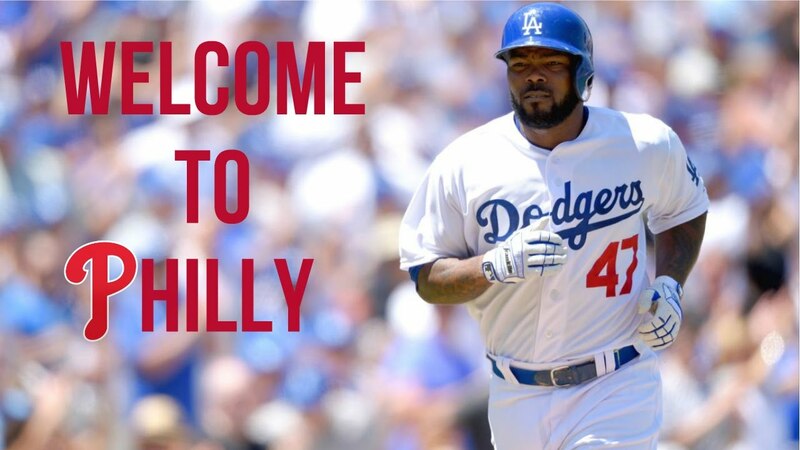 Ryan Howard, Carlos Ruiz, Chase Utley, Jimmy Rollins, Ben Revere, John Mayberry Jr. and Domonic Brown are all gone. Now, it’s time for the young guns to take over this team. This puts this year’s team pretty low in the rankings. However, don’t be surprised if the Phillies are the next surprise wild card in 2018. These young players are very talented, and once they’re developed, which will happen over the next year or two, the Phillies will be good once again. Putting the older guys aside, there are a few talented young guns that have already broke out. Odubel Herrera, Freddy Galvis and Maikel Franco are already doing strongly. Franco is the Phillies’ bright spot. He is keeping this lineup alive. In a couple of years, Franco could be a superstar. The new environment in Philly leaves him with an important role in the lineup, and I think he will come through in that role. Best Case Scenario: The Phillies return to contention with an impressive season by a lot of young players. Worst Case Scenario: The Phillies fail again, and the young guns go full bust. 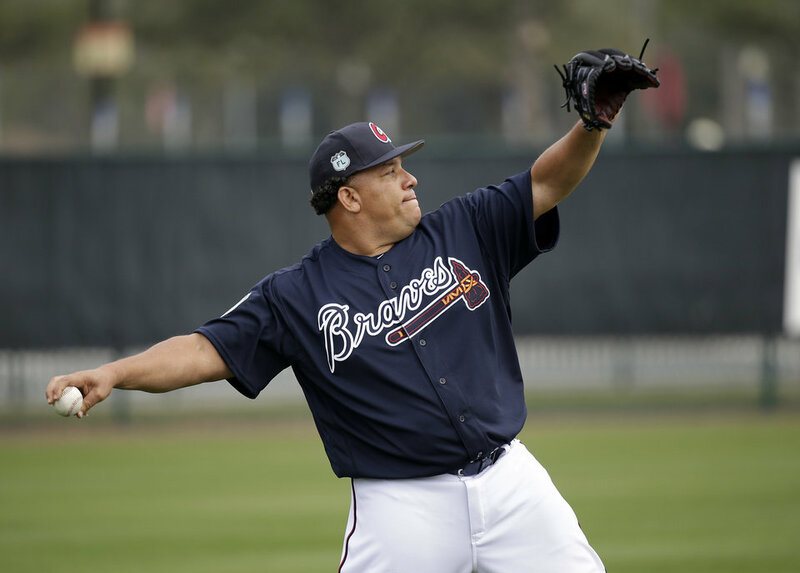 The Braves are in the midst of a rebuild. The starting rotation is getting old after they added Bartolo Colon and R.A. Dickey, but the older players are still good. The lineup also includes veteran mentor Matt Kemp. The rest of it consists of young stars and players ready to breakout. 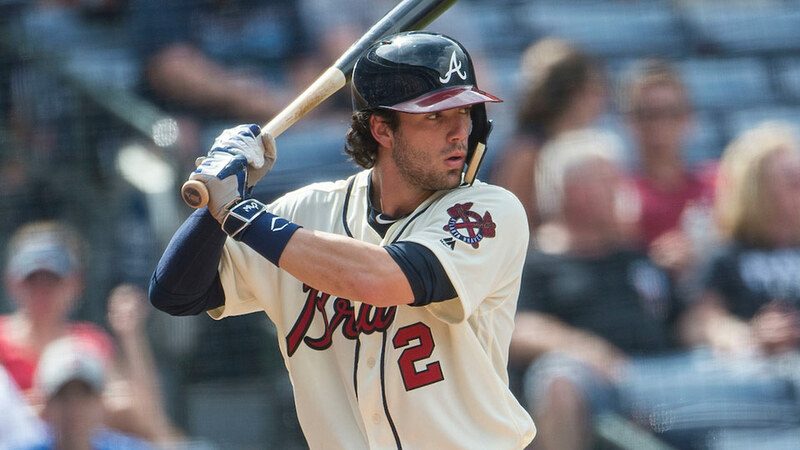 Dansby Swanson is the favorite for the NL Rookie of The Year, Freddie Freeman continues to shine, Nick Markakis has done alright in Atlanta, and new acquisitions Brandon Phillips and Kurt Suzuki will help this team improve. The Braves won’t compete this season, but they’ve put together a nice mix of old and young that could do well in the future. The pitching staff still needs to develop and be fine-tuned, but the lineup is looking better, and could be a lot more powerful this year and in future years. 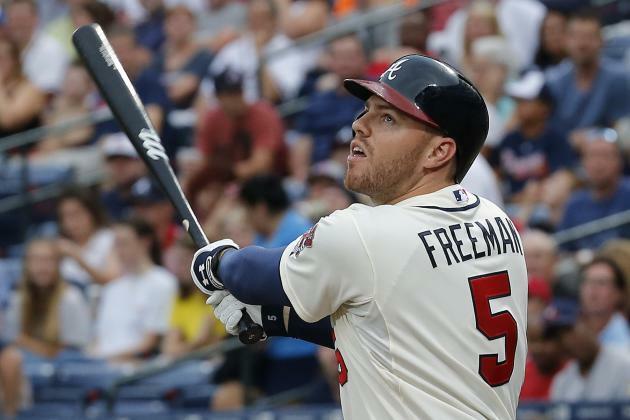 The Braves currently lack depth, but once more prospects break the majors, the Braves could have some of the best hitting in the MLB, with a strong lineup led by Freddie Freeman. Some of the older players provide power to the lineup, but younger players Freddie Freeman and Dansby Swanson make the Braves a little more fun to watch. Freeman really broke out last year, with a stellar performance especially in the 2nd half. Freeman had already established himself as a franchise player, but he really went all out in 2o16. Swanson has a potentially great rookie season ahead of him. The Braves have opened up a spot at shortstop for him, and Swanson will take advantage of that. Best Case Scenario: The rotation finally gathers itself, the lineup is dominant, and the Braves compete for a wild card in the NL East. Worst Case Scenario: The rotation is a bust, the lineup doesn’t perform like it should, and the Braves finish last in the NL East. The Rays didn’t have a huge off-season. They lost some crucial guys, and they traded away Logan Forsythe and Drew Smyly. However, they added to their pitching depth in that trade by acquiring Jose De Leon. Despite losing Desmond Jennings, they resigned Logan Morrison and signed Colby Rasmus to help fill out the starting lineup. Wilson Ramos and Nathan Eovaldi were also signed but are recovering from injuries. They made a lot of small moves, but nothing major enough to impact the Rays. The Rays play in the toughest division in the MLB. They have a talented team, but just don’t stack up to the rest of the AL East. They would be a mediocre team in a weaker division. But this is just how it is. The Rays don’t stack up with everybody else. A rebuild is not needed, now is just a big wait. A big wait for the Rays to able to do well again. They have a good roster, but some of these guys are getting old, or just aren’t as good as the other stars of the league. The lineup is just mediocre. The true bright spots in Tampa are Chris Archer and Alex Cobb. Archer struggled in 2016, but is still the ace of the Rays. Cobb has been injured the last two years, but will perform well when healthy. Both of these guys should make a big impact for the Rays in 2017. Best Case Scenario: The strong rotation leads the Rays to compete towards the top of the AL East, in hopes of a playoff spot. Worst Case Scenario: Injuries hit hard again, and the Rays look worse than ever, finishing not just last in the AL East, but the whole American League. Baseball season is almost here. This is just the start of my rankings series. Comment your thoughts and predictions, and check back tomorrow for my 24-19 rankings. Who will be next on the list? Check tomorrow to find out!